1. 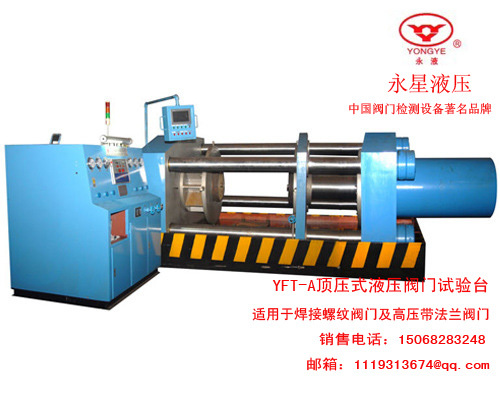 YFT-B vertical serie hydraulic valve test bench suitable for DN15mm - DN300mm valve testing. 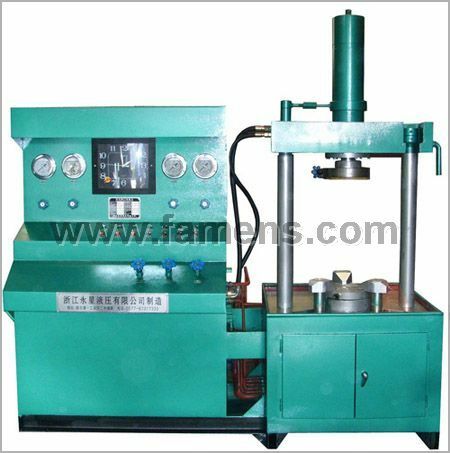 With two types plane blind plates, plactic seal plates for none-flange valve testing and O rings seal plates for flange valve testing. 2. The work panel has claws and the upward side has impact cylinder. 3. 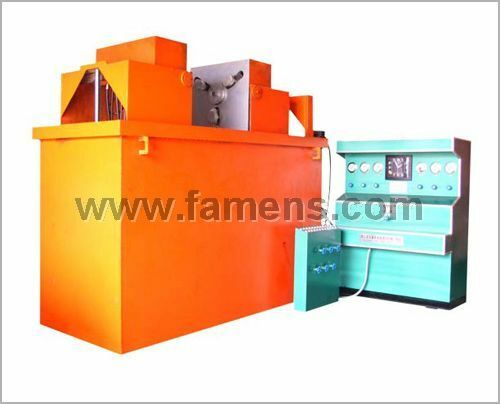 The top beam can turn 90 degrees, easy for operation. 4. 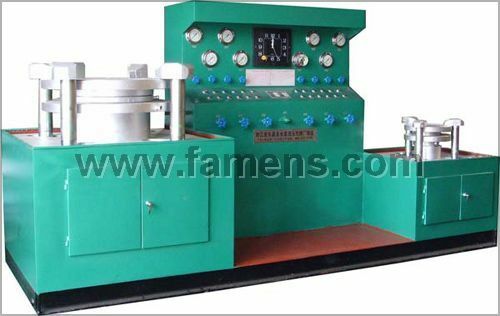 Test medium can be choosing by user, water, air or kerosene. 5. 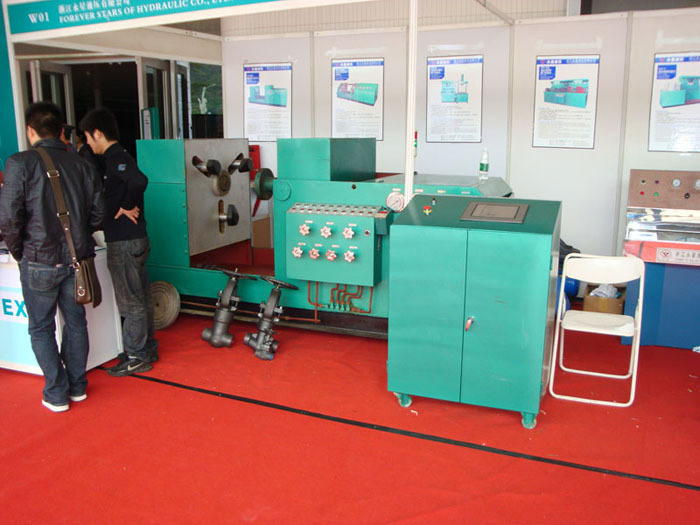 Test bench has low pressure water pump and water booster. There is an air connection reserved for air pump. 6. Water and hydraulic oil cycle use. 7. 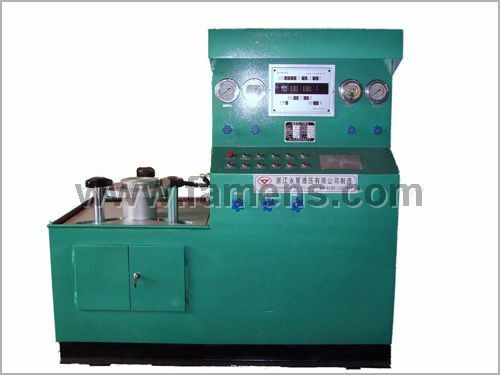 The test bench has an automatic oil pressure discharge system. 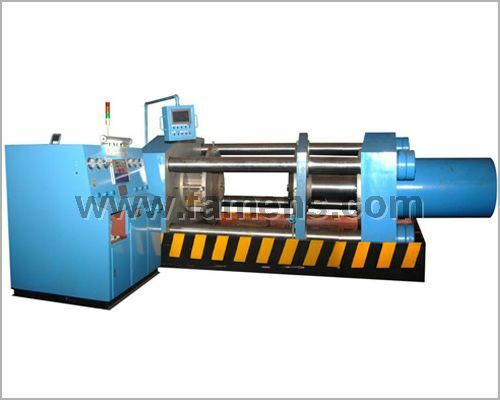 When using it, the high pressure condition and the relief pressure condition can be changed by itself. 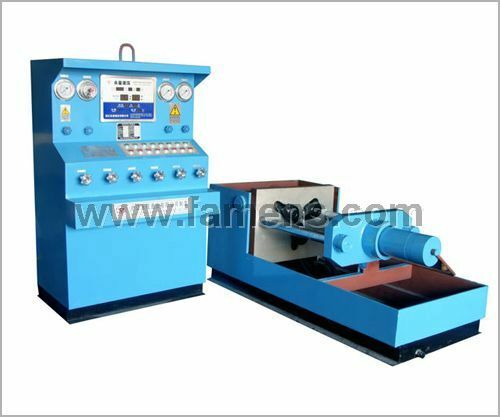 So it can reduce oil temperature, elongate life of test bench. 8. 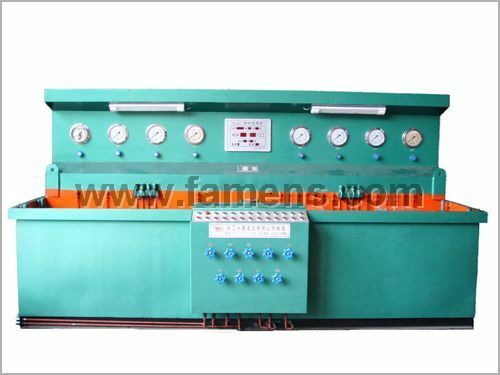 PLC control, touch screen display pressure diagram and printer system is optional.